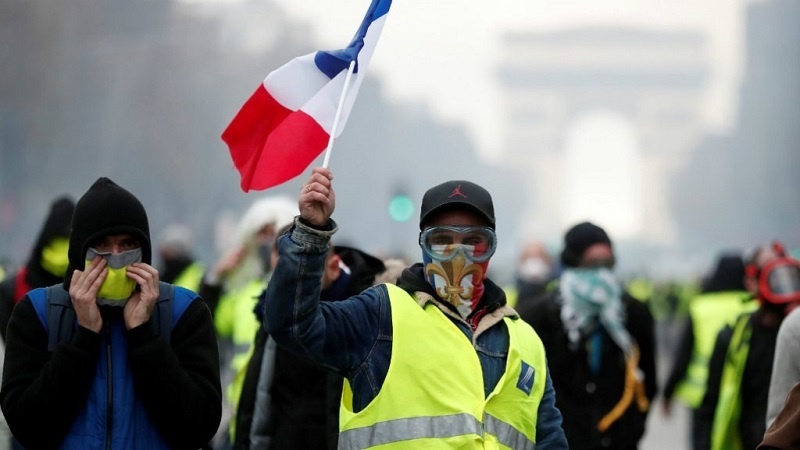 Iran Press/Europe: Edouard Philippe said that the government would shut down 'Yellow Vest' protests if violent groups were identified among the ranks of 'Yellow Vest' protesters. 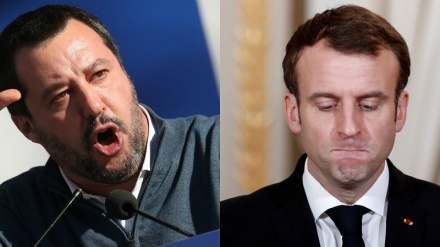 According to Reuters, President Emmanuel Macron and his government have been forced back on the defensive after rioters ransacked luxury boutiques and torched cafes and a bank on Saturday in the latest flare-up of violence against Macron’s pro-business reforms. 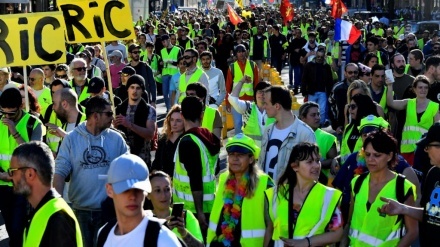 "From next Saturday, we will ban 'Yellow Vest' protests in neighborhoods that have been the worst hit as soon as we see a sign of the presence of radical groups and their intent to cause damage," Prime Minister said in a televised speech. 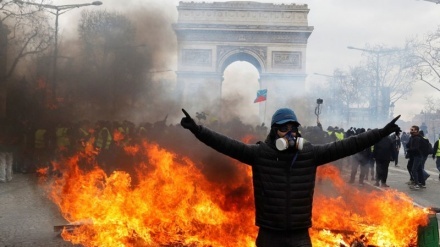 Yellow Vest rallies entered their 18th consecutive week with severe clashes between French police and protesters on Mar 16, 2019. "These were criminal acts. The government’s response must be strong," Philippe said. "Paris's police chief had been sacked and a new Paris police chief would be appointed on Wednesday," he said, adding that police officers on the ground would be given more decision-making autonomy and handed extra equipment including drones.